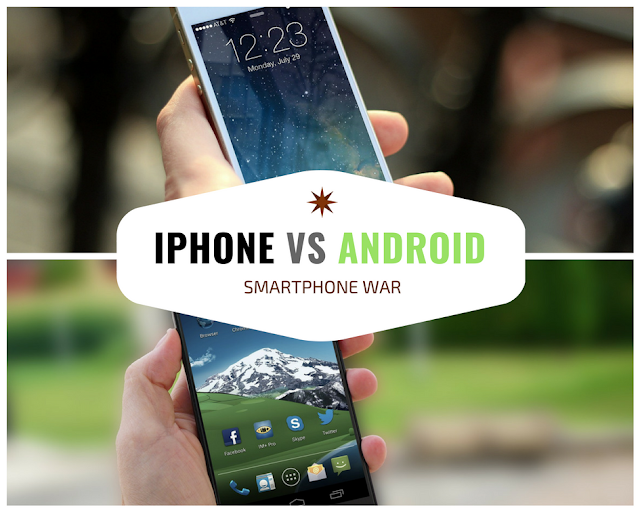 Android VS iOS, Which Side Are You On? Android and iOS are the two world’s most hankering operating systems. Both operating systems are enriched in their features and potential. These operating systems are giving a tough fight to each other, providing the superlative features and fascinating applications to their consumers. Nowadays, it’s very complicated for a person to choose which operating system will be suitable. As these systems, are the key to managing all the mobile processes, memory, hardware and software. For this, it is better to have a look at their features. This will surely assist them with a better decision. Android is covering the upper limit of the devices. As it is not confined to any single company or a device. Variety of companies like Samsung, Huawei, Motorola, LG, and Nokia are supporting this OS. Due to which this operating system is demanded all over the world. Unlike Android, the availability of iOS is very restricted. This system is only applicable for the devices that are manufactured by Apple Inc. This includes iPad, iPod and iPhone. For browsing data, Google Chrome is used for the Android devices. iOS offers Safari as a web browser. Google chrome is easy to access and a user friendly as compared to Safari. For this reason, Apple devices support Google Chrome but Safari is not supported by the Android devices. Both browsers are similar in their usage and features to some extent. According to the research of 2018, it is noted that Android users are capable of using 3.8 million apps including truth spy apps, social media apps and games. Whereas iOS users can choose up to 2 million apps. Android gets apps from Google Play Store and iOS gets apps from the Apple App store. Truthfully, it is useless to see the number of applications that a Play store supports, because traditionally new and best mobile games are launched on Apple App Store first. In the case of Android phones, it is seen that these devices are automatically updated after a specific time period. Sometimes it happens that the user did not receive any notification regarding updating software or they may even buy phones with out of date software. Decisions regarding upgrading is taken by the manufacturers, when they have to allow the software upgradation. This is the best advantage given to the iOS users that iOS upgrades are available on every Apple devices. Devices older than three years or more may bear some exceptions; like upgrading software Siri is only useable by the iPhone 4S and it cannot be used by other old versions of iPhones. Both operating systems have a common interface- swiping, touching, zoom-in, zoom-out and tapping. Customizability is the dominant feature of Android devices that it allows users to develop their own home screens by using different widgets and shortcuts. They have the choice to change the entire theme of their phones.